This entry was posted in Personal stories on 2017/12/20 by Susan. This is my last post of the year. Here’s 2017 in review, with my top moments from the year. Thanks to everyone for reading and commenting. See you in 2018. I’d like to thank everyone for speaking of safety with me in 2017. Thanks to all my readers and to all the experts who shared their knowledge with me throughout the year. Here’s a recap of four posts I felt very strongly about during the past 12 months. Each one is important to me for different reasons. It is beyond sad to see how fentanyl is killing people of all ages and social groups. Naloxone is a life-saving drug that can counteract fentanyl’s toxic effects. Anyone in B.C. can administer naloxone if they have the training, so obviously this applies to OFAs. It’s more likely an OFA would use naloxone on a member of the public than on a worker. People might need naloxone in schools, malls, airports, sports centres, nightclubs, and anywhere else groups gather. I believe it’s important to look at “what’s right?” instead of just “what’s wrong?” This applies to workplace safety and to life in general. Seeing what’s right gives us a chance to feel grateful. Acknowledging what’s right is positive reinforcement that makes people feel appreciated. That’s it for now! Please let me know what you would like to hear more about in 2018. 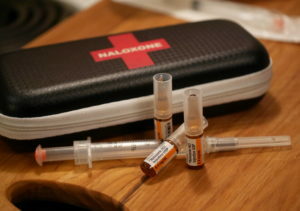 FYI – Free online training is now available for Naloxone – http://www.naloxonetraining.com/training. That’s very good news! And now there’s a push to get more naloxone kits out to the general public: B.C. government to provide free take-home naloxone kits at pharmacies throughout province.